This Year’s Sam Bass Day Is Taking Place On 2/23! On Saturday, February 23, the Allen Heritage Guild will host its annual Sam Bass Day events at the Allen Depot! During this special gathering, community members can learn more about Bass, and the infamous 1878 train robbery that took place in Allen. There will also be several games and other activities that help everyone learn more about our local history. If you want to feel closer to your community, learning more about the past can help. If you want to feel better about your smile, make sure you see your dentist for regular dental exams! Your Allen, TX dentist’s office is proud to offer quality preventive care to people in and around the Allen area. This year’s Sam Bass Day is scheduled for Saturday, February 23. The events will run from 11 am until 2 pm. The Allen Depot is located at 100 E Main Street, Allen, TX. Visitors are welcome at no cost to attend this educational event! 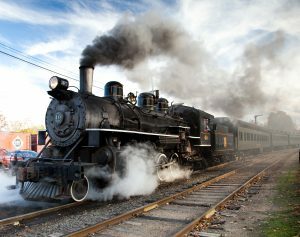 On Sam Bass Day, the Allen Heritage Guild will host several activities and talks that cover Sam Bass, the role of trains in Allen’s early history, and the notorious train robbery that took place in 1878. This is a great opportunity for new residents, and longtime residents, to become more acquainted with local history. Schedule Your Next Dental Appointment With Allen Family Dental! At Allen Family Dental, our practice proudly welcomes Allen residents of all ages to enjoy quality dental care. You can look forward to expert preventive services, and you can count on treatment for oral health concerns and cosmetic issues. To arrange an initial consultation with Dr. Torrens-Parker or Dr. Lizardi, call Allen Family Dental in Allen, TX, today at (469) 342-6644. In addition to Allen, TX, we proudly welcome individuals from McKinney, Frisco, and all other nearby communities.